Many people have at least one filling, as this treatment is excellent for preserving and protecting teeth, restoring their structure and appearance. You will need a filling if you have a cavity in a tooth, or if a tooth has become damaged perhaps by becoming chipped or cracked. 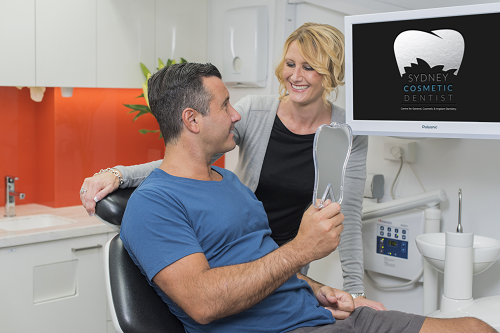 When you visit us here at Sydney Cosmetic Dentist, Dr Poulos will carry out a detailed examination to assess any possible damage to your teeth, allowing us to provide treatment hopefully well before you feel any unpleasant symptoms. Your filling should last for several years before it needs replacing. Dr Poulos will assess its condition at each checkup to make sure it is still protecting and preserving your tooth. Will My Filling Be Visible? Dr Poulos uses the most advanced filling materials that are tooth coloured, so there is no need to worry that your new filling will be highly visible. Instead, he will take a great deal of care to make sure it blends in beautifully with your existing tooth.